Porsche has three strategies it will use to stay relevant into the future, but they all bank on the Mission E being a success. Like the electrical prongs on a grounded home appliance, Porsche is setting its sights on a vibrant future in the era of electrification by taking a three-pronged approach to how it will shift its brand into this era of electrification. According to what Porsche CEO Oliver Blume told , these three pillars involve plug-in hybrids, combustion engine sports cars, and electric cars that manage to retain Porsche’s sporting DNA despite being fuel efficient. Funny thing is that this future isn’t one we didn’t see coming. 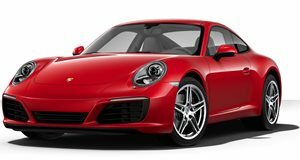 With vehicles like the plug-in hybrid series satisfying the PHEV criteria, the powerful 911 reigning as king of the combustion engine-infused sports cars from Weissach, and the upcoming Mission E standing in as the sporty electric car, the sports car builder turned luxury car manufacturer seems to have a good future ahead of it. Like the level-headed rich kid you knew who always seemed to be good at everything, Porsche’s bright future will get even better as time passes. It’s currently celebrating its position as the Volkswagen group’s and is lauding itself for setting a new global sales record in 2017 for selling 246,000 vehicles. Surely things can’t go wrong, can they? Well maybe not when it comes to the preservation of Porsche’s sportiness in an electric car, but what about the autonomous age? Blume seems to be optimistic about that too. "There will always be demand for intelligent sporty mobility," said Blume. "At Porsche the driving experience will always be at the forefront, but in a traffic jam or when you park a car the driver might want to hand over control of the vehicle," he said. As systems like Alfa Romeo Giulia Quadrifoglio’s Adaptive Cruise Control with traffic jam assist show, amazing driving dynamics can coexist with headache-reducing autonomous driving systems, and if there’s hope for FCA we definitely have faith in Porsche.